Teenage boys are not generally known for their wisdom. This is particularly the case in our home where my thirteen-year old son John derives considerable pleasure and joy from annoying his sixteen-year old sister. Unfortunately for John his sister is not only older, she is also bigger and stronger than him. That may change in the next year or so, but at the moment John is unable to defend himself against the physical response his lack of judgement incurs when he embarks on each mission to see how far he can push his sister. Unfortunately folly is a contagious disease that anyone can catch. I see folly most mornings while negotiating a junction controlled by traffic lights. Inevitably there are drivers who believe that they can drive through their red light when mine is green. It isn’t rocket science. 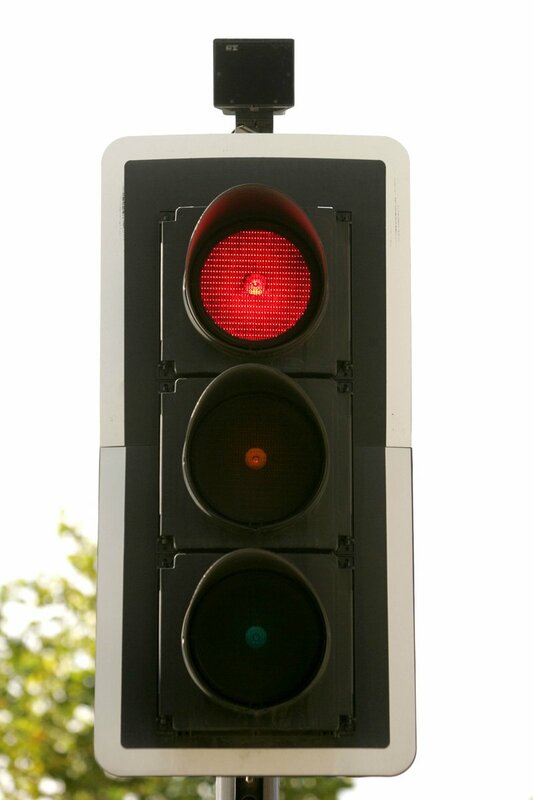 Red means stop, and needs to be heeded just like any other warning, be it a road sign, a parental instruction, a safety measure linked to mechanical or electrical equipment, or anything else. Walking uprightly or keeping a straight course means taking note of warnings, being alert to danger, and avoiding risk. To avoid risk we need to understand risk and the consequences of failure. For followers of Jesus that means trying to avoid temptation. Most of us know our weaknesses and vulnerabilities. If we don’t, then we should. And then we should follow the instructions for walking uprightly given to us in Scripture. This entry was posted on Friday, September 4th, 2015 at 10:00 pm	and tagged with instructions, red light, the armor of God, the armour of God, Traffic lights, Warnings and posted in advice, Armour and Weaponry, Fools, Temptation, Warnings, Wisdom. You can follow any responses to this entry through the RSS 2.0 feed.